You may have seen my earlier post about ComputerCraft, which is a mod that allows you to make programs in Minecraft. I put together a modpack including ComputerCraft (which is what I mostly used), Industrial Craft 2, RailCraft, BuildCraft, McHeli (Helicopters and planes), and Electrical Age (still unused). This blog post will be about my world. This may be pretty long, I have taken a lot of screenshots. Here is my Automatic Farming turtle. He is the source of all my food. And here is where the wheat is turned into bread, and the amount of bread to broadcasted to the computers in my building. Here is where I get all my wood. That chest there over half full of 64s of "raw" wood. When the trees grow, he chops them down and places a sapling. This is where I get infinite stone. When the redstone current is on, he will chop the cobblestone from the cobblestone generator. The cobblestone is transferred from the turtle into some electric furnaces, where it is then put into a chest in the building. Here is the stone farm setup. 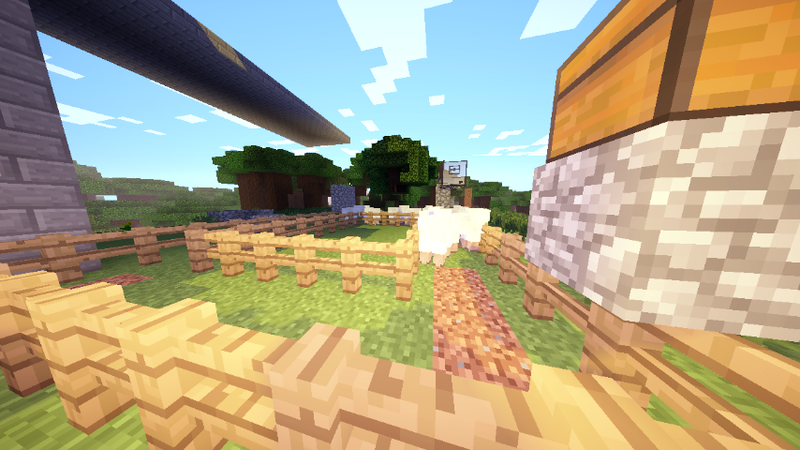 This is the farm with the most produce, and the one that hasn't been turned on in weeks (Minecraft weeks). It goes around, shearing the sheep, then depositing it into the chest. And this is why I have the shearing turtle turned off. Way more wool than I can use. Here is my air balloon, which I use to travel the world. And here is a picture of my building. It was automatically built before. I actually used to have a large house where my balloon is now, but I removed it. This is inside the building. I have a ton of machines here. And here is my storage. 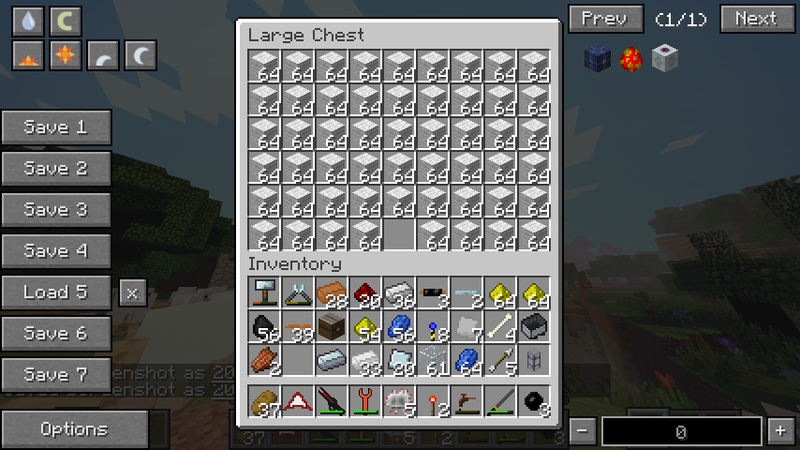 I never got around to actually filtering my chests, so they are filled with random junk and diamonds. You may have seen the elevator in the last picture. It is quite functional, here is the dashboard. Here is the second floor. This is where my ComputerCraft stuff mostly goes. On the monitor, you can see all the data. First, it says how much food (out of a stack) I have. Then, it displays if the farmer is on, and underneath if the chopper is on. And lastly, it tells the time. Here is all the stone from the stone farm. 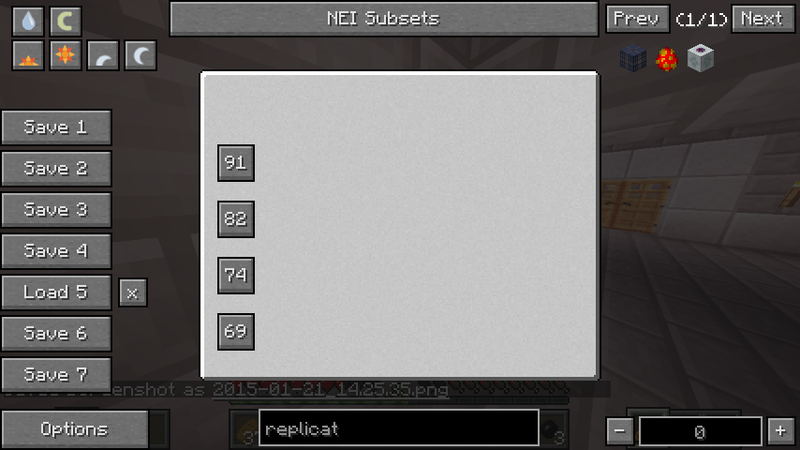 I get an infinite amount, so there is a lever next to it to control how much I get. Here is the third floor. These chests were the ones that were once inside my house, but were moved out via pipes. This is also where I keep my plane. You can see a bit of it glitching in the wall. And here is my plane. It's very big! This is the last floor, where I keep my helicopter. It is quite glitchy, and known to randomly blow up in midair. I have some more things to show that are far off in a desert. I have a quarry there, which is where I will be getting all of my ores. 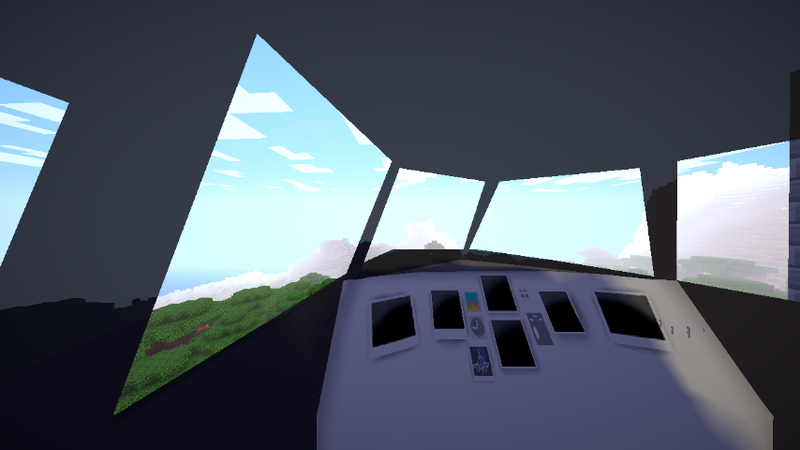 I can actually fly the plane really well, but it takes a ton of practice. The first seven or eight times, it crashed. I'm about the only one who can fly it. Also, it is not very agile and cannot turn around very fast. The desert is across an ocean. Normally, to get there in my air balloon, it would take about 10 real life minutes. But in a plane, it only takes about 45 seconds. This is my quarry. I need a lot of chests for the ores and things to go into! And this is what the quarry looks like.